Our free online event planning account has been maximized to help simplify your party planning experience. Please Click the Link above and enter your provided user name and password. 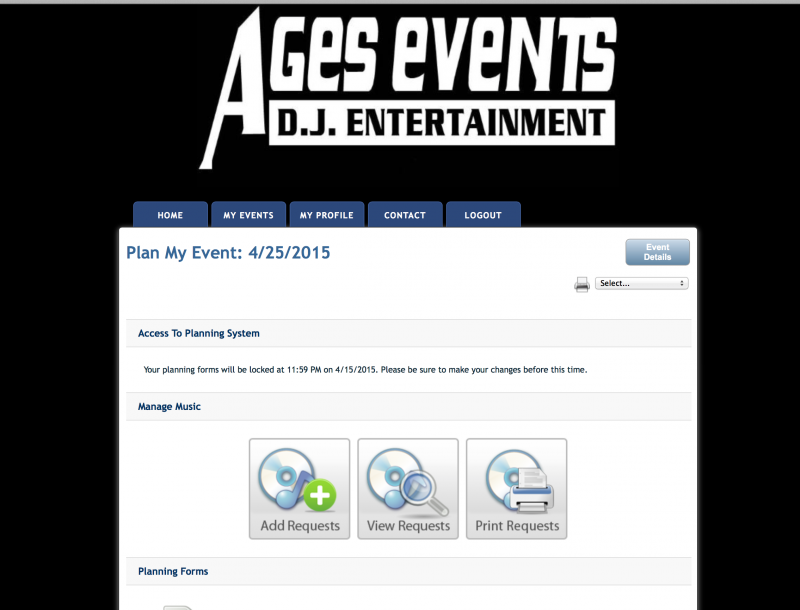 If you have any login issues please email: Jay@agesevents.com for immediate assistance please call 631.902.0123 between 9am-9pm.